Editor’s note: This week, to coincide with the Democratic National Convention in Los Angeles, Times columnist Aubrey Immelman reports his analysis with respect to Al Gore. A similar report on George W. Bush appeared July 30. 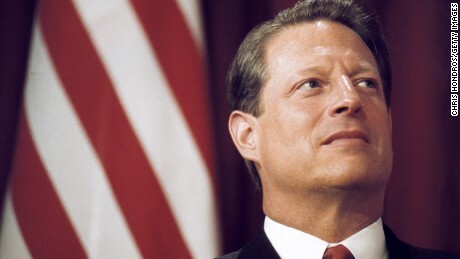 On Aug. 28, 1997, the New York Times assailed Vice President Al Gore for his “repugnant” misuse of federal property for fund-raising purposes and called for an independent counsel to investigate the matter. Gore appeared increasingly beset by scandal in fall 1997 as television news programs broadcast embarrassing images of Buddhist nuns testifying before a Senate committee that they were reimbursed for checks made out to the Democratic National Committee following an ostensible vice-presidential fundraiser at their Hsi Lai temple on April 29, 1996. But critics of the vice president may be surprised to learn that people with Gore’s personality type — despite their self-righteous “high flown conceits” as the Wall Street Journal’s Timothy Noah has called it — typically follow regulations closely. They are staunch defenders of rules and standards, and are generally responsible, reliable, proper, prudent, self-disciplined, and restrained. Highly conscientious, dutiful, moralistic personalities such as Gore are their own worst enemies, prone to nitpick themselves for failing to live up to their self-imposed exacting standards and lofty ideals. Ironically, despite their foremost status among personality types with respect to diligence and dependability, more than any other personality type they dread being viewed as irresponsible, slack in their efforts, or in error, with a corresponding tendency to overvalue aspects of themselves that signify perfectionism, discipline, and prudence. Gore’s sometimes disingenuous overstatement of fact (witness the “Love Story” flap, his “no controlling legal authority” snafu, and the “inventing the Internet” imbroglio) should be seen in this light — as pure personal folly, not an expression of fundamental mendacity or a fatal flaw of character. In addition to his conscientiousness, Gore is distinctively introverted — a quality rarely seen in presidential politics since the advent of television, which has favored the candidacies of polished, socially poised presidents such as Kennedy, Reagan, and Clinton. Introverted candidates are not cut from this cloth. They seem socially awkward and aloof, like a Richard Nixon, disengaged and pessimistic under pressure, like a Jimmy Carter, or politically inept in the limelight, like a Michael Dukakis. They are anything but warm or engaging, and their public reserve is perceived as social indifference and a lack of empathy, which tends to elicit a reciprocal reaction in voters. So, what are the presidential prospects for Al Gore? To begin with, his personal style does not bode well at the ballot box. Gore biggest challenge will be to energize an increasingly apathetic voting public: a task for which introverts are ill equipped. But assuming he can clear this hurdle, Gore offers some key character-based skills critical for competent executive leadership. His diligence, attention to detail, and ability to focus will stand him in good stead with respect to policy formulation and the mechanics of setting in motion the levers of administrative, constitutional, and institutional structures. Unfortunately, these very attributes serve as an impediment to forging the instrumental relationships crucial for institutionalizing his initiatives in a bipartisan arena. Gore’s conscientious nature dictates that the essence of his presidential leadership will be what political psychologist Dean Keith Simonton calls a “deliberative” style. Deliberative leaders keep themselves thoroughly informed, exhibit depth of comprehension, and understand the implications of their decisions. They are cautious, not inclined to force premature decisions, able to weigh the long-term consequences of their policy judgments, know their limitations, and do not place political success over effective policy. But these leadership strengths are offset by Gore’s aloofness, which will render a Gore presidency distinctly uncharismatic. Simonton’s schema predicts that a President Gore will be awkward in public and not closely in touch with the mood of the people, fail to use rhetoric effectively, and fall short as a skilled, self-confident negotiator. Ultimately, the combination of introversion and conscientiousness could make him vulnerable to health problems paralleling difficult, critical periods in office. Political scientist Lloyd Etheredge has pinpointed precise links between personality and foreign policy orientation, making it possible to foreshadow Gore’s likely operating style and role preference in foreign affairs. Gore’s profile positions him as a “high-dominance introvert” in Etheredge’s typology of personality-based foreign policy role orientations. Political psychologist Margaret Hermann offers additional insight into the likely direction of a Gore administration. Gore’s profile is compatible with Hermann’s description of the “expansionist” foreign policy role orientation. In short, the major personality-based leadership strengths that Gore will bring to the presidency are his conscientiousness, his detail-oriented ability to stay focused and to craft specific policies, and his low susceptibility to ethical misconduct. His major personality-based limitations are a deficit of the politically pivotal skill of easily connecting with people and a self-defeating potential for dogmatically pursuing personal policy preferences despite legislative or public disapproval. Aubrey Immelman is a political psychologist and an associate professor of psychology at the College of St. Benedict and St. John’s University. You may write to him in care of the St. Cloud Times, P.O. Box 768, St. Cloud, MN 56302. Previous story Will Gore’s little lies be big turnoff for voters?